When Should You Consider Losing Weight? When Should You Consider Losing Weight? Home > Blog > When Should You Consider Losing Weight? Posted on April 1, 2019 | Under weight loss. To answer this question, one needs to determine their Body Index Mass (BMI) score. The scores are read this way – BMI of 30 and above is considered obese, 25 to 29.9 is overweight, 18.5 to 24.9 is normal and below 18.5 is underweight. Added to this, if you have symptoms like problem exercising, snoring loudly, tired all the time, almost always hungry or if your knees, hips and back hurt, you may wish to fix an appointment with a weight loss center in Big Spring. 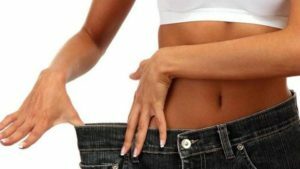 Any good weight loss center in Big Spring will be able to tell you that BMI is also used to determine one’s health risks associated with overweight and obesity and they include heart disease, stroke, type 2 diabetes, sleep apnea and snoring, osteoarthritis and joint disease and even premature death. Having said this, BMI does not necessarily assess a person’s body composition such as amount of muscle, bone, fat and other tissues. So, a person with more muscles can end up in the overweight category and still be healthy. Despite this, BMI score is still a good place to start to understand if one’s weight is a problem or not. More than fitting into those skinny pair of jeans, your healthcare adviser at the weight loss center in Big Spring will tell you that one’s purpose to lose weight should be to lead a healthy, active life free of sickness as much as possible. Some of its benefits include agility by reducing joint pain caused due to carrying all that extra weight. It can also help you to sleep better as excess weight and obesity is the most common cause for sleep apnea. You will also enjoy a stronger immune system and not be susceptible to falling sick often. Every season brings its own version of fad diets and the internet is filled with instructions for every type, be it plant-based, meat-based or vegan. Diets like these, especially if they are not taken under medical supervision, can pose major health risks and can even cause death. Some of the effects of crash diets can be slow metabolism, muscle burning, missing out on major nutrients and constantly being hungry. They are also no sustainable and in the long term can cause more harm than good. Instead, if you choose to visit a weight loss center in Big Spring, you can consult with a healthcare provider who can suggest a diet that will not only reduce your weight, but also help in maintaining that weight and boost your overall health. Next PostNext Why is it Important to Tackle Obesity and Overweight in Children?